Last fall James Edgar of Camberwell College of Arts in London asked me to contribute something to Whatever Next: a discourse on typography, a small book the college was publishing. The request was last minute so I recycled an essay, “Ten Simple Rules for Researching Letterforms,” I had written originally for Gunnlaugur SE Briem. I am reprinting my essay yet again for all of those unaware of The Briem Report 2012 or Whatever Next. This is also an opportunity to rectify a drawback to Whatever Next. 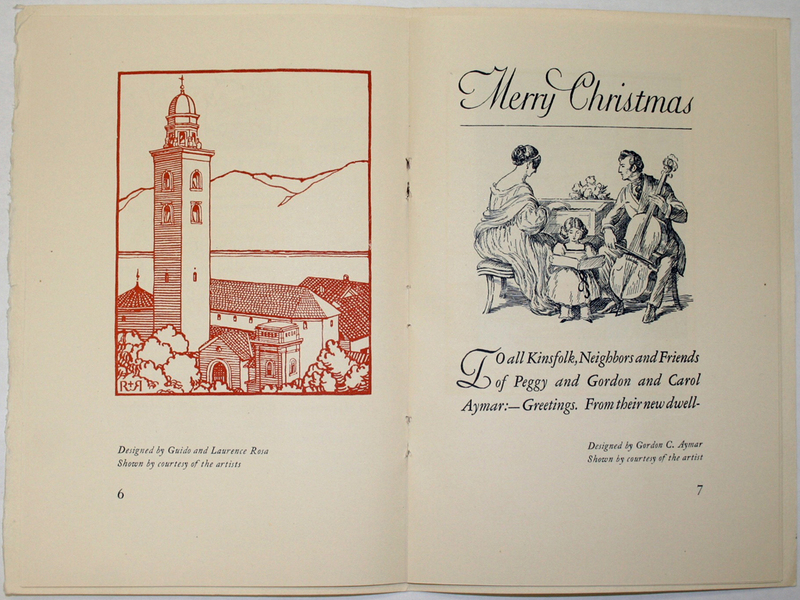 It was printed in one color, a dove gray, which dulled the three illustrations accompanying my text. Here they are included in full color along with additional images. Do a Google search for the letterforms you are looking for. Try a variety of keywords (style, period, creator, usage, etc.) separately and in combination. Avoid the word “type” since it means much more than typeface and will return too many hits. Don’t forget to search Google Images and Google Books as well as the Internet in general. And try Flickr and eBay. Once you have done these basic searches try more speciﬁc ones using institutional catalogues (e.g. The British Library, Columbia University and the Newberry Library) and databases (e.g. the New York Public Library’s Digital Gallery, Medieval Manuscripts in Dutch Collections, and the Codices Electronici Sangallenses). During your search keep track of sites that are useful in general even if they do not help you with your particular search. Bookmark them. Rule no. 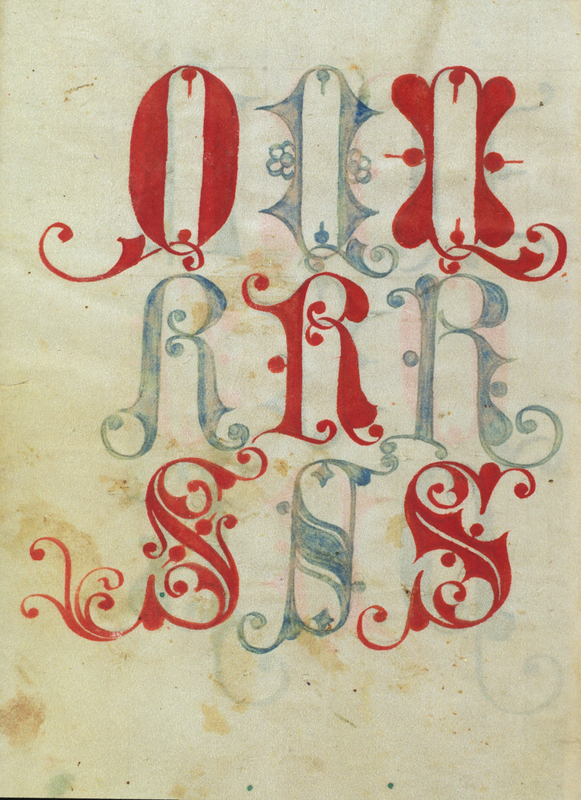 1 Versal QRS page from a model book for scribes by Gregorius Bock (c. 1510–1517). MS 439, Beinecke Rare Book & Manuscript Library, Yale University. I accidentally discovered Bock’s pattern book in the 1980s. This image is from a slide made back then. Now, the entire manuscript is viewable online. Remember that print is not dead. The Internet does not contain all recorded human knowledge—and won’t for a long time. Even online library catalogues often have as little as 70% of an institution’s holdings. Use libraries, librarians and old-fashioned catalogues to search for information. Go beyond books. Most material on letterforms is contained in magazines and journals. Many, though not all, are searchable electronically through specialized databases that the best libraries subscribe to. Archives and specialized collections are listed online (e.g. the Raymond DaBoll Papers and the James Hayes Papers at the Newberry Library) but not all have online ﬁnding aids. These are essential to discovering many examples of modern letterforms. Print versions of ﬁnding aids are available at libraries and other institutions (e.g. the Norman T.A. Munder Papers at the Enoch Pratt Free Library in Baltimore). At libraries don’t forget microﬁlm. It is tedious, but it is often the only option for many printed sources from the past. Rule no. 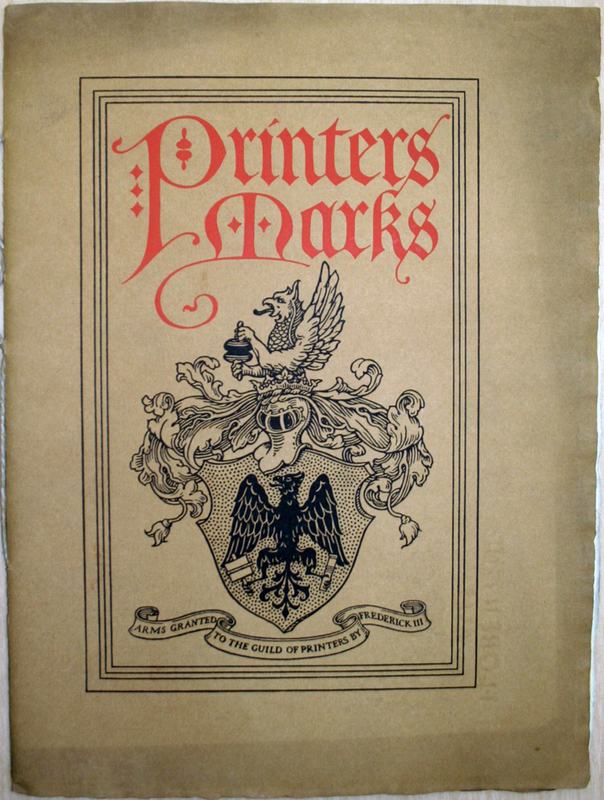 2 Printers Marks catalogue cover (c. 1919). Design and lettering by Frederic W. Goudy. I photographed this cover in 2007 at the Newark Public Library. Until now it could not be found online. There is more to print research than books, journals, magazines and newspapers. Look at the physical objects themselves (book bindings, magazine covers, etc.) as well as advertisements in magazines and newspapers. And look at ephemera. Ephemera is often poorly identiﬁed in catalogues, whether print or online, since librarians and curators don’t always know what they are looking at. Rule no. 3 Double page spread from special insert on the work of Guido and Lawrence Rosa in The Printing Art (1919). The Rosa brothers were leading American illustrators and letterers in the early decades of the 20th century. Don’t be in a hurry. Look beyond the ﬁrst few pages of Google search hits as letterform items can often be buried—sometimes tens of pages down. Similarly, when doing print research go beyond the subject you are looking for to look at related items. For instance, if you are looking for calligraphy, look also for lettering; or if you are looking for type, look also for printing. This is because 1. librarians are inconsistent in how material is catalogued, and 2. material often ﬁts into one or more categories. Rule no. 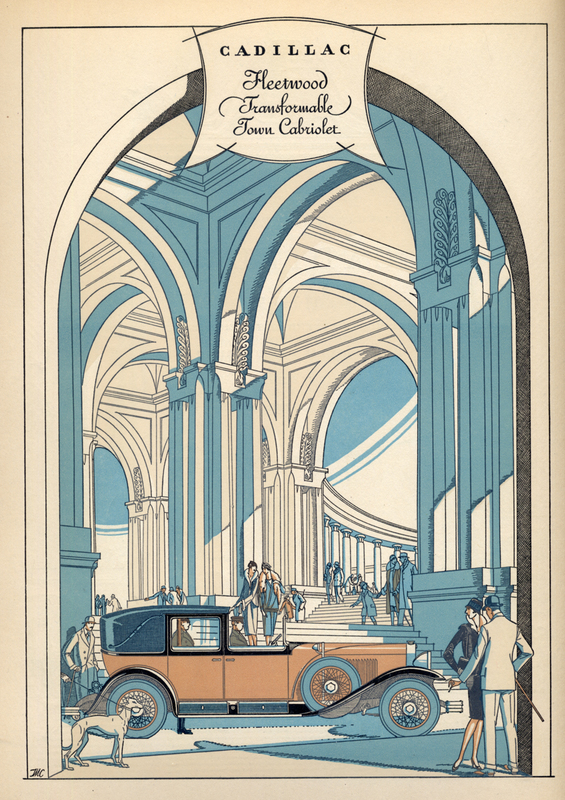 4 Cadillac Fleetwood Transformable Town Cabriolet advertisement (c. 1927–1928). Designed, illustrated and lettered by T.M. Cleland. Search for examples of Cleland’s lettering via clients such as General Motors. Unfortunately, only part of this advertisement can be found online—with the lettering missing! See eBay. In looking for information about letterforms and their makers look not only at obvious sources such as articles in a periodical but also at items that are not included in tables of contents or in databases. Examples are regular columns about news, people and events; “ﬁllers” (the little articles, often untitled, that are used to ﬁll up pages); and advertisements. Don’t overlook the small stuff. Rule no. 5 Although not listed in the index, the October 1927 issue of The American Printer includes the work of W.A. Dwiggins. 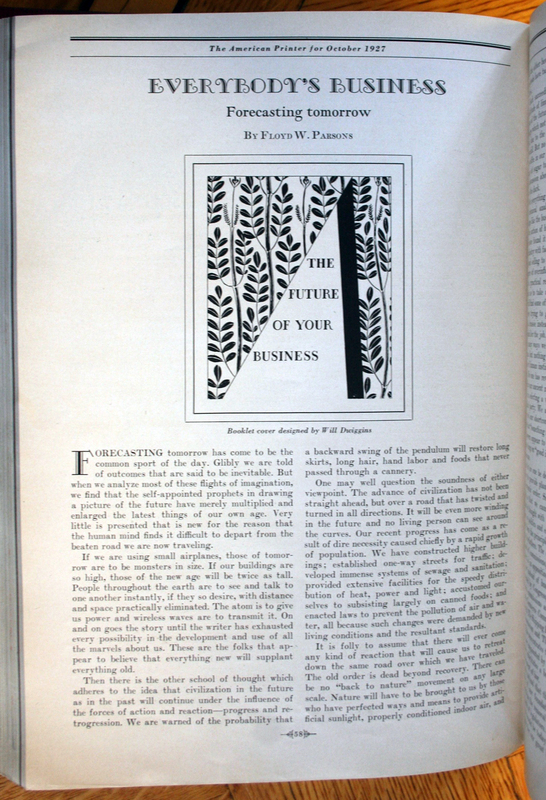 “The Future of Your Business”, a brochure he designed (including the ornament and lettering) for papermaker S.D. Warren appears on p. 58 as part of “Everybody’s Business: Forecasting Tomorrow” by Floyd W. Parsons. Don’t give up when a search, online or in libraries, seems to run into a dead end. Look for alternative sources—such as other libraries or collections (in museums, historical societies, etc. )—that may yield the same information but from a different line of attack. 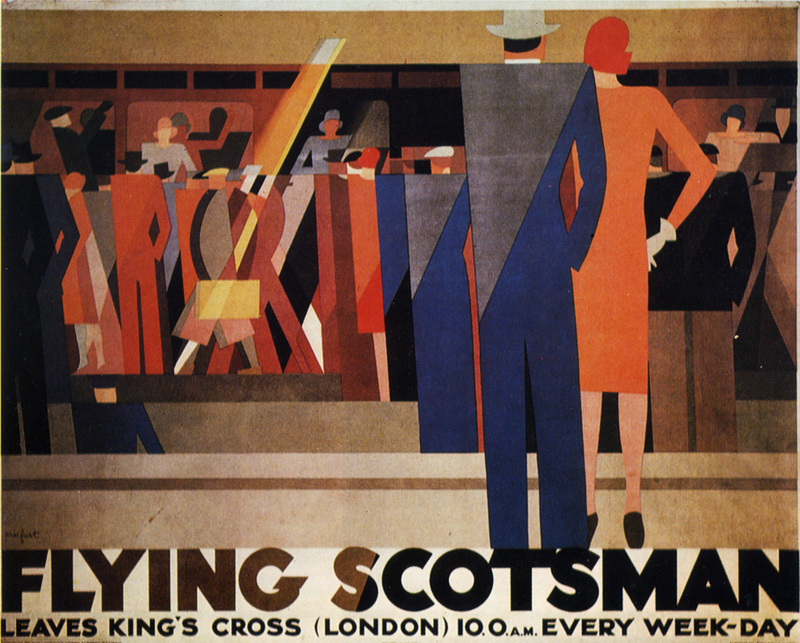 For intstance, look for information on the English calligrapher Edward Johnston in sources about transportation system signage or about the lettercutter Eric Gill. Rule no. 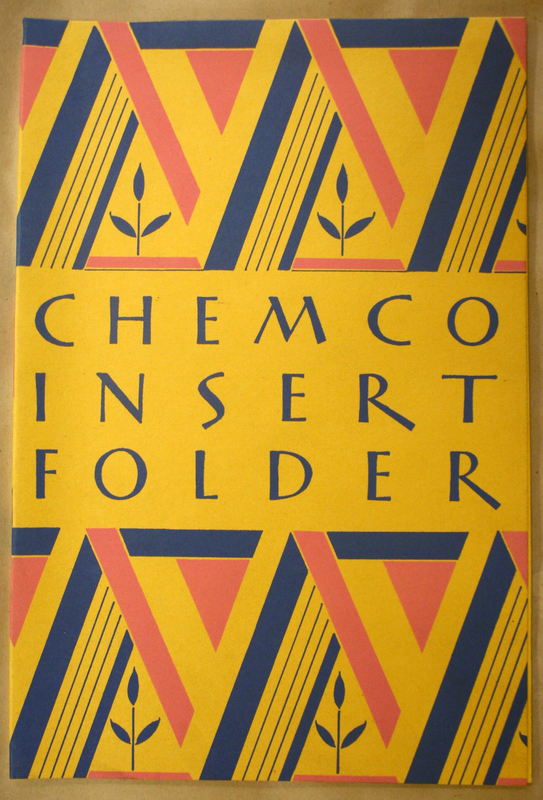 6 Chemco Insert Folder (c. 1928). Paper company brochure designed and lettered by Walt Harris. I found this brochure in a scrapbook in a printing museum while searching through boxes of ephemera. The scrapbook and its contents are uncatalogued. Don’t take everything you read during your research at face value. Get corroboration. Many people—including those in working in the lettering arts—embellish their achievements, edit their life (leaving out signiﬁcant items that they consider uninteresting or embarrassing), or just plain forget parts of their past. A common problem is lettering work reproduced without information about materials used, clients, or dates. Today, all letterforms are often indiscriminately called “type”—even items that predate the digital revolution. In doing research for letterforms it is important to know (and recognize) the difference between carved lettering, drawn lettering, signwriting, calligraphy, and type (whether metal, wood, ﬁlm or digital). Learn about techniques, tools and materials. Rule no. 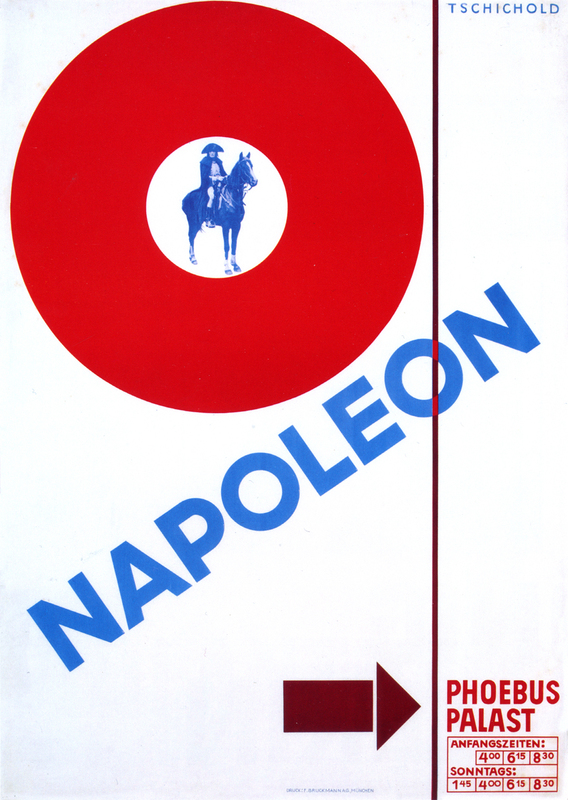 8 Napoleon poster by Jan Tschichold for the Phoebus-Palast (1927). The title has been handlettered, a fact that is not obvious in reduced size reproductions. Letterforms do not exist in a vacuum. Pay attention to the designs they are a part of and to the places they appear (advertisements, magazines, etc.). And look at letterforms in relation to the time and place in which they were created. Rule no. 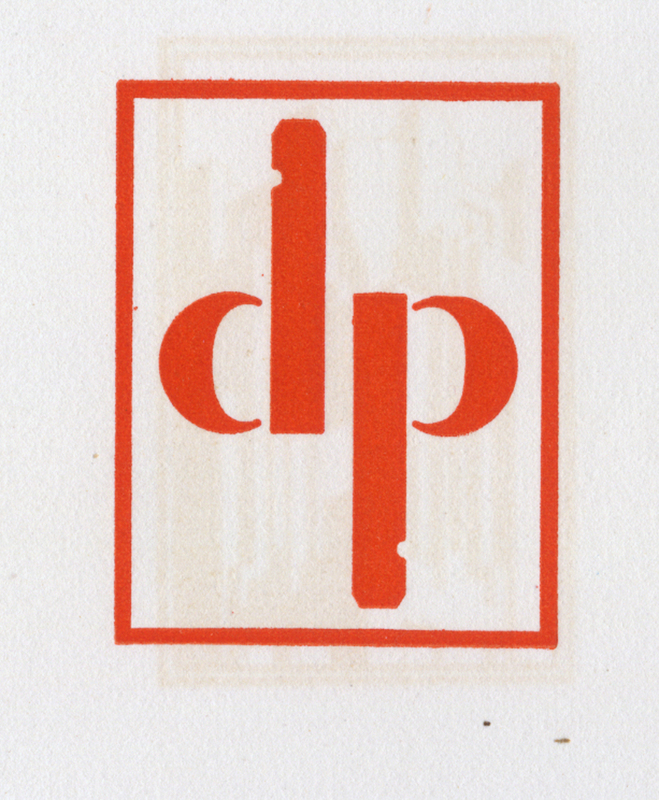 9 Logo for the Detroy Press by Clarence Hornung. From Trade-Marks (1930). Only if one is familiar with foundry type is it clear why the d and p have notches in their stems. Remember that letterforms from the past need to be viewed from a different perspective than those from the present. Be careful of bringing current assumptions and biases to bear on the work of the past. Rule no. 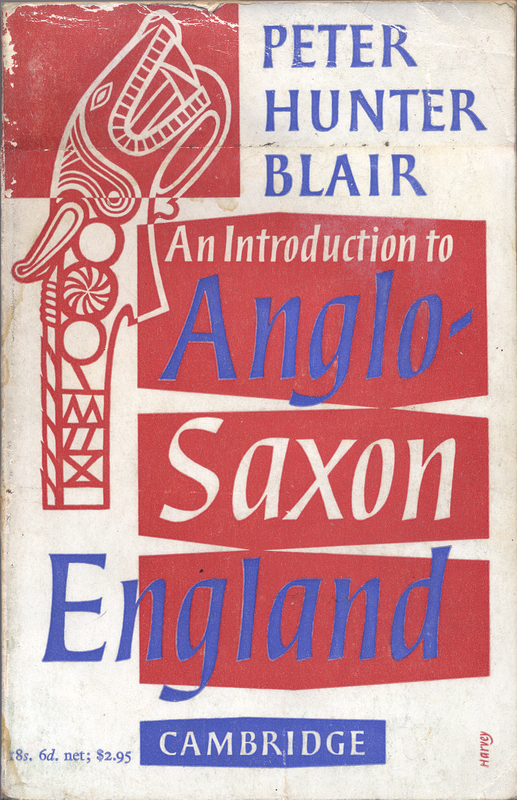 10 An Introduction to Anglo-Saxon England by Peter Hunter Blair (Cambridge: Cambridge University Press, 1956). Bookjacket design by Michael Harvey. Although the letterforms appear to have been made with a broad-edged pen, they were actually drawn. 1 look at bibliographies to discover potentially relevant sources. Then look in the bibliographies of those sources and so on. Repeat the process as long as necessary. Stand on the shoulders of others. 2 do an Internet keyword search. Remember to look not only for the name of the letter maker(s) or other topic, but for related or ancillary people and topics. Do not trust Google or other search engines to easily find you the most relevant websites. They search by popularity, and thus many good sites are buried tens or even hundreds of pages into a list. Also be aware that many seemingly useful websites are full of puffery, empty rhetoric and incorrect information. The best place to start with the Internet is with online library catalogues. When using catalogues remember to take advantage of the various searching options: subject, keyword, title, author, journal, etc. 3 look at indexes to periodicals to locate useful articles. Most letterform information resides in articles rather than books or websites. Ask librarians for assistance in identifying and using both printed and computer databases. Some databases may only be accessible from a registered library computer. 4 do an Internet image search using Google Images, Flickr, eBay and digital image collections on the websites of major international libraries and museums. 5 letterform ephemera (artwork, sketches, proofs, printed samples, etc.) is found in archives and special collections. They usually have ﬁnding aids, but not all are fully itemized; and many are not detailed online.